Fees are usually calculated as a percentage of the transaction price. Fees are payable when the contracts are signed and are subject to VAT at 23%. Sometimes charged as a percentage of the transaction price and subject to VAT at 23% or fixed fee basis. It is compulsory for a residential property to have a BER (Building Energy Rating) certificate before it is sold. A BER is similar to the energy label on a household appliance. The label has a scale of ‘A’ to ‘G’ (A being the most energy efficient and G the least Getting a BER Cert is easy and generally cost from €100 depending on the size and age of the property. All fees and charges relating to the property should be fully paid and up-to-date before the sales process begins. Examples include service charge obligations if the property is within a multi-unit complex, utilities, bin charges. Generally include the cost of photography, brochures, website listings, any press advertising. It is not essential to redecorate, however, if an area is in need of a lick of paint this will improve buyers impressions. See our separate guide on preparing your home for sale. McGovern Estates qualified personnel will accompany all viewings and so it is not necessary. It is worth noting that buyers often feel more relaxed when the owner is not present. Why do I need to show photographic ID and a utility bill to my agent? Estate agents and solicitors are required by law to seek certain information from a vendor before placing a property on the market for sale. This is to ensure that money laundering is not taking place through buying and selling property. The details required by the agent will depend on whether the property is owned by an individual, a corporation, a charity etc. First impressions count so make sure the garden is tidy, the bins are out of sight and the front door has a fresh lick of paint if it needs it. If you have a garden, check that the outside of the house is as neat and tidy as the inside; trim the lawn, pick up the leaves and trim back plants! Make sure the rooms are not dark or cold. Draw back the curtains and replace any missing bulbs or lampshades. In the winter months, keep lights on for viewings - especially in rooms that don't have an abundance of natural light Consider feature lighting in hallways and reception rooms, and avoid harsh light in bedrooms and living rooms. Make sure there is good task lighting in the kitchen and study areas. Fresh air in, damp smells out. Open windows and doors for a short while before viewings (if it's not too cold! ), and make use of ‘plug-ins’ or light some scented candles. De-clutter. Pay particular attention to the kitchen, the heart of the house. Clear away clutter and food (a bowl of fresh fruit is ok! ), and give the impression of a healthy, happy space. The same goes for the bathroom; put away the bottles and creams and display some fresh, neatly folded towels. Make sure the room looks and smells clean. Put away family photos. You want the viewers to envision themselves living in your home not to feel they are intruding on your space. De-clutter your cupboards too. If buyers open cupboards and they look cluttered and unorganised, it suggests there is a lack of storage space. Sort out those niggle jobs you’ve been putting on the long finger. For example, peeling paint on a window, or a garden gate hanging off its hinges. They suggest that work needs to be done on the property and could be used to re-negotiate the price. To a nervous first-time buyer, a damp stain caused by a minor past leakage suggests an impending flood; get it fixed and painted over. If you are unsure about anything, just ask our advice. And finally, the little touches. Place plants or flowers throughout your house. It doesn’t need to be a rainforest (remember the clutter!). In winter, if you have a fireplace, have a fire blazing. In vacant properties, consider property styling or leave some furniture behind to give the place a lived-in feeling. 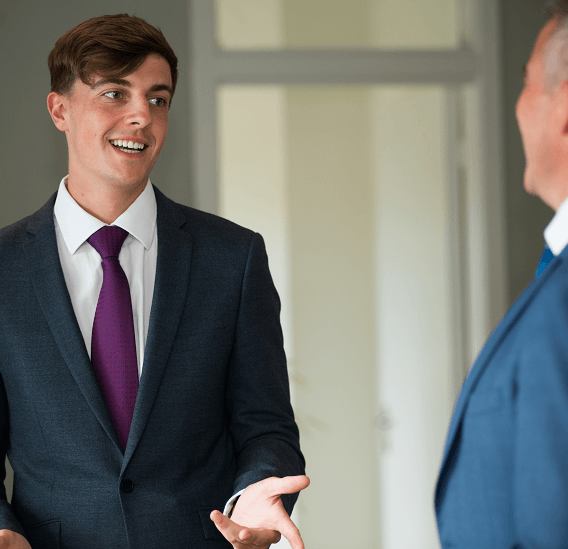 If you are unsure about anything McGovern Estate agents will be able to give you advice on what you need to do in order to get the best result for your property.